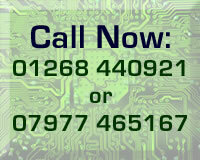 Computer Repair in Essex. Remote Support Worldwide. Home and Business Computer Services. Virus Removal. Advice & Free Estimates. Desktop PCs, Laptops, Tablets, Phones, Windows, Apple iOS, Android. Will post Championship standings as soon as I can, but may be a few days (busy). 10 to 12 year old laptop now takes just 32 seconds to start up and display a webpage. First full day back at the office today for three weeks.